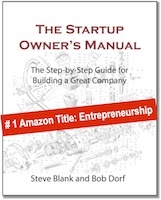 Steve Blank No Business Plan Survives First Contact With A Customer – The 5.2 billion dollar mistake. 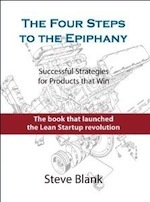 No Business Plan Survives First Contact With A Customer – The 5.2 billion dollar mistake. At $5.2-billion Iridium was one of the largest, boldest and audacious startup bets ever made. 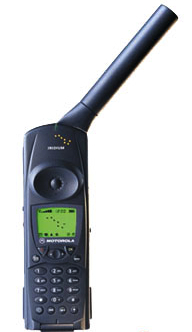 Conceived in 1987 by Motorola and spun out in 1990 as a separate company, Iridium planned to build a mobile telephone system that would work anywhere on earth. It would cover every city, town and square inch of the earth from ships in the middle of the Arctic Ocean to the jungles of Africa to the remote mountain peaks of the Himalayas. And Iridium would do this without building a single cell tower. How? With an out-of-this-world business plan. First, the company bought a fleet of 15 rockets from Russia, the U.S. and China. Next, it built 72 satellites on an assembly line and used the rockets to launch them into orbit 500 miles above the earth. There the satellites acted like 500-mile high cell phone towers capable of providing phone coverage to any spot on the planet. Seven years after it was founded their satellites and ground stations were in place. It was a technical tour de force. But nine months after the first call was made in 1998, Iridium was in Chapter 11 bankruptcy. It crashed back down to earth as one of the largest startup failures on record. What went wrong? When Iridium was first conceived inside Motorola in 1987, worldwide cell phone coverage was sparse, calls were unreliable and per minute costs were expensive. Cell phone handsets were the size of a lunch box and cost thousands of dollars. When it was spun out as a a separate company, Iridium’s 1990 business plan had assumptions about potential customers, their problems and the product needed to solve that problem. All were predicated on the state of the mobile phone industry in 1990. They made other assumptions about the type of sales channel, partnerships and revenue model they would need. And they rolled all of this up into a set of financial forecasts with a “size of market” forecast from brand name management consulting firms that said they’d have 42 million customers by 2002. Iridium looked like it would be printing money when it got its satellites into space. But in the 11 years it took Iridium to go from concept to launch, innovation in mobile phones and cell phone networks moved at blinding speed. By the time Iridium launched, there were far fewer places on the planet where cell phone service was unavailable. Traditional cell phone companies now had coverage in the most valuable parts of the world. Prices for local and international cell service declined dramatically. 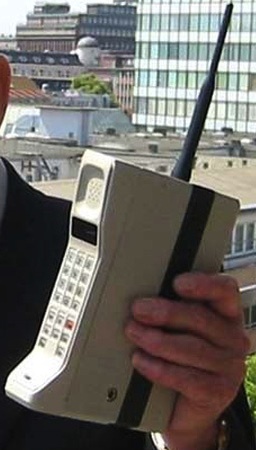 The size of a cell phone handset had shrunk so it could fit in your pocket. In contrast, when Iridium’s service became available its satellite phone was bigger than a brick and weighed about the same. Worse, Iridium’s cell phone couldn’t make calls from cars, offices or other buildings since phones had to be used outdoors with a line-of-sight connection to the satellites. But the nail in the coffin was price. Instead of the 50 cents per minute for a regular cell phone, Iridium’s calls cost $7 per minute– plus users needed to pay $3,000 for the handset. In the eleven years since they had been at work, Iridium’s potential market had shrunk nearly every day. But Iridium’s business model assumptions were fixed like it was still 1990. They were dead on arrival as a mass market cell phone service the day they went live. 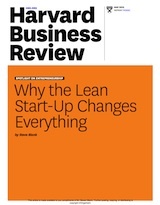 The result was a classic startup failure writ large. Iridium followed its original business plan assumptions off a cliff. Their mistakes? First, in 1990 the company thought it knew the customer problem to solve, and therefore it knew what solution to build. Second, since it knew the solution, it went into a 8-year Waterfall engineering development process. Waterfall development is a sequential way to develop a product (requirements, design, implementation, verification – ship.) Waterfall makes lots of sense in a market with the customer problem is known and all customer needs and product features can be specified up front. It is death in a rapidly changing business. Waterfall development shut off Iridium’s ability to listen, learn, test and adapt to changing customer needs and a rapidly changing market place. Third, its business plan had no notion of learning and discovery. The idea of iteration or pivots was unthinkable. This business plan was a static document. It was great for fundraising, looked great in business schools and large companies, but completely broke down when confronted by the realities of the changing mobile phone business. When the company launched, it ran into diminishing customers and markets that didn’t correspond to its business plan and financial projections, but it had no ability to pivot and change their business model. A Customer Discovery and Validation process that was ongoing with product development could have provided early warning that its market was not developing in Iridium’s favor. Instead management was more comfortable executing to the plan. In 2000, new investors bought Iridium’s satellites and network for $25-million, or one half of one percent of the invested capital. Today, the successor company serves some 300,000 customers in a series of niche markets including American soldiers calling home from war zones, oil rig managers, and big game hunters. Customer Development, Business Model Design and Agile Development could have changed the outcome. A very interesting analysis of what can go wrong if you ignore the dynamic nature of the business environment. This is especially true in industries that are highly correlated with the technology they use as opposed to more technologically agnostic industries. A second problem that was not anticipated was the application of fiber and the penetration of fiber connections to essentially everywhere on earth. Those lessons learned at the end of your post are among my favorite business writing of all time. Many thanks for this poignant and insightful story. It’s exactly what I needed to hear today. I’ve met a few Iridium execs both during the time of launch and afterwards. They were pretty self-assured in the face of the arguments that were made at the time. It was likely grimly marching to Moscow as winter closed in and your troops died on the route march. The funny thing about Iridium is that it works flawlessly — there is no other phone system on earth that you can use *anywhere* on earth. But the cost of doing it — LEOs, bulky phone antennae, outdoor use only — limits the market to only people who find themselves in places where cell phone coverage is impractical, like oceans, deserts and other remote places. Of course, if they had priced it for 300,000 customers, it would still be $7/min (it’s $1.49 right now). And, fwiw, it’s a great system (I’ve owned a phone since 2000). I agree about the performance, and it was much better than other satellite phones. One of their problems is that they positioned it against cell phones instead of satellite phones, but that was probably dictated by the business model. The corollary to “remote places” is that it is the ideal solution for places where there are no customers. If the customer density ever reaches a certain threshold, it is more economical to install a tower. The exception to this is a war zone, where it would be a bummer to have your tower blown up. Just thinking a little more about your article. It is wonderful to have the benefit of hindsight. However I remember situations where the “business case” did not seem to make sense, yet developments in technology and cultural shifts made it feasible. One example is SMS (text messaging), I remember working on the first implementations – at the time me and others where implementing a cumbersome protocol on clunky devices with poor user interface and limited text capacity. Moreover the system was unreliable and not guaranteed to deliver the message. Few predicted that the mobile handset would improve, predictive text would be developed and that culture would change to use language in new ways … I assume that the proponents of the business case at the time would now claim that they could foresee these developments – but I don’t they could have ! I agree with you on this. As Mr. Taleb describes in his book Black Swan, the dots are much easier to connect in hindsight. However, given the time period of the development of Iridium. They should have kept and eye on other development in the mobile space. I agree with you and with the article. Having been a former senior engineer at Motorola I also understand the organizational culture and the context of how and why such a mistake could have happened. My only point was that the analysis, with the benefit of hindsight, might be slightly simplifying the context of why this happened. Secondly, as I mentioned, I can think of examples where the environment has changed, making somewhat bizarre ideas (and assumptions) valid. You really nailed the major issues. Beyond the scope of a blog, there were many other errors that I learned a lot from. I suppose the nail in the coffin for waterfall is that you are going to pivot, so how much money do you want to burn before you pivot. After spending $5.2 billion is probably a suboptimal answer. Iridium can be compared to the Concorde. A great solution for a niche demographic that is nonetheless economically unsustainable. It can’t scale sufficiently in market adoption to drive unit costs down. Short of a few customers with a willingness and ability to pay, most do not see the value of the premium paid. Iridium never identified a customer need, they just ploughed ahead and built the biggest, shiniest system and hoped that it would pay off. Global coverage just isn’t that useful to all but a tiny number of users. The obvious customers were seafarers, but they had been using Inmarsat for years. 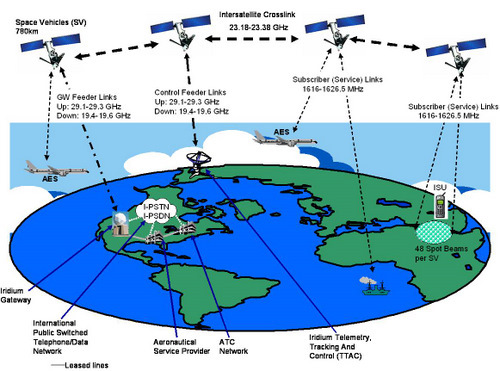 Their network achieved near-global coverage using four geosynchronous satellites. You needed a big antenna and a powerful transmitter, but that was no problem on an ocean-going vessel. The same went for fixed installations in remote areas on land. Inmarsat was at the time a UN-backed nonprofit established to improve safety of life at sea and was under no particular commercial pressures. GSM took off in a huge way in the early nineties, so by the time Iridium launched most of the developed world was blanketed in GSM coverage. Multi-band handsets and roaming agreements meant that most travelling business customers already had a handset that worked just about everywhere at relatively low cost. There was still a gap in the market for portable communications in less developed and more sparsely populated areas, particularly Africa and the Middle East. The later network Thuraya solved that problem cheaply and elegantly by putting a geostationary satellite over Ethiopia and covering most of the market for handheld satellite phones after just one launch. They now cover 70% of the world’s land mass with just two satellites and are far more profitable than the revived Iridium. Iridium could have pivoted. They had a lot of sunk R&D costs, but the initial 66 satellites were built and launched in an enormous binge between 1997 and 1998. They had a gap of at least six years between conceiving the idea and building the first piece of hardware. I believe that they failed to do so because they were preoccupied with the idea of providing truly global handheld telephony, rather than the more mundane task of making a product that people want. Iridium brilliantly solved the technical problem of providing telephone coverage to parts of the world with very few people, but failed to realise the basic flaw in that business model. Iridium turned out to be a wonderful gift to humanity, but it was a bloody awful business decision. Mentioning the 66 satellites shows how extremely the waterfall model was entrenched. They had originally planned for 77 satellites and named it Iridium because the atomic number of Iridium is 77. Then the design changed to 66 satellites, but they didn’t want to change the name to Dysprosium. That might be the only correct marketing decision they made, but they anchored the brand name in something that pivoted away from them. Do cruise ships use satellite telephones? I think you are being a bit too hard on Iridium. It’s easy, coming from the software world, to chuckle at the lack of agility and testing of customer hypotheses in some other kinds of businesses. These folks needed to put a bunch of satellites in space (!!!) before signing up the first customers with a working product; and merely asking people if they would buy (as I am sure Iridium did) is not a very good indicator. I can imagine an alternate history where local cell server didn’t spread as fast, and Iridium ended up as a leading global provider. On the plus side, Iridium’s failure prevented a vastly larger investment (and probable loss) in Teledesic. When I heard the latter described, it took a very long time for me to be convinced it was a serious proposition rather than a piece of science fiction. We’re living in an amazing technological world. Lots of people had to bet big to make it so. I honor those who lost, as well as those who won. Wondering if you could also do a post on Thuraya. I use their service in E Africa and just curious if their situation failed equally or if they had a different model that has worked for them. It was a PERFECT business plan if you assume that Moore’s Law doesn’t exist! This is what the telecom industry constantly does. Look at the premise of ATM Networking, Iridium, denial that VoIP would ever work, and plenty of other examples. I’m glad I left AT&T/Lucent when I did (2000) but I should have left earlier. Iridium is now a great service, $1/min, global coverage – the wonders of Chapter 11. Of course, you could do the same article about Global Crossing, Worldcom and all the other insane telcos who sank billions into long-haul fibre-optic cables in the late 1990s, and the smart people who bought up that capacity for pennies on the dollar afterwards. The Internet would never have scaled to today’s traffic had those visionaries not built out that capacity and taken their companies down doing it. Still most of the submarine cable capacity built in the late 1990s is not lit. The overall pricing structure was also a major component that killed the original system. It was an expensive system to design and implement, but then on top of that cost, everyone involved in the project was convinced it would generate endless pots of gold, and by golly, every player was made sure their pot was as big as possible. Motorola itself asked breath taking fees for managing the system and selling the handsets. Each country granting permission for the system to work inside their national borders got their cut. The greed went on and on. just curious: hypothetically, what could the company have done to change course? they were in the business of creating a satellite based cellphone network, so granted that the need for it was shrinking, what was to be done? 1. Stopped hiding inside their building consulting business plans that were obsolete the day they are written. As an example, (but just a hypotheses) spending 1% of their $5.2 billion dollars on lobbyists could have gotten the U.S. military to adopt/buy the system. Or a partnership with a prime military contractor better positioned to sell it. This is anathema to present day national security thinking. While innovation sometimes requires big bold risks, the article makes a strong case that paying more attention to market developments might have helped Iridium to succeed, or at least fail less spectacularly. I’m an advocate of an approach called Scrum, which forces an inspect/adapt cycle every 30 days (or more typically, every two weeks). This is hard because human nature is to cling to our assumptions in the face of contrary evidence. I think you nicely summarized the reasons why Iridium failed. I had an opportunity to evaluate the technical and economic viability of several of the proposed mobile satellite systems as a grad student in 1995 before Iridium launched the first satellite and explored some of the board level governance issues later in business school about the time they went into bankruptcy. A few of the companies did change course. One later decided to shut their program down and focused on monetizing a related patent for an orbit instead. Another decided to not go forward with their own solution but focused on being an arms dealer of sorts by building satellites for countries and other companies who were willing to take the market risk. The board structure played a big role for some of the companies. Large boards (25+) with a few independent directors make gaining alignment on the need for a major change difficult at best. Great epic failure example. It makes me wonder tho – where were the investors all this time. Didn’t anyone do some due-diligence to figure out their money was going down the toilet? Your recent article on No Business Plan Survives First Contact With A Customer – The $5.2 Billion Mistake was excellent. Indeed, there are a great many valuable lessons learned from what we refer to as the “first Iridium” and everyone in business should read your piece as a cautionary tale on the possible disconnect between a business plan and the market. •	Since Iridium re-launched in 2000, we have completely re-purposed the use of our network. As you pointed out, there are 383,000 Iridium subscribers worldwide from vertical industries such as maritime, aviation, defense and a rapidly emerging market known as M2M where machines “talk to” machines. In addition, our current handset is now only 9.4 ounces – about the size of the first cell phones. •	It’s understandable that “providing phone coverage to any spot on the planet” was so compelling to Motorola in 1987 because – despite the fact that urban populations are now heavily covered by cell phones – the great majority of the Earth is still not covered by cell phones or landlines today. When you consider that two-thirds of the Earth’s surface is covered by ocean and then factor in massive expanses of rural land, it estimated that cell and landline phones cover less than 10% of the globe. Iridium works everywhere. For that reason, total Iridium revenue in 2009 was $318.9 million. We expect to deliver at least $150 million in Operational EBITDA in 2010. This financial performance is allowing us to self-finance a significant portion of the $3 billion next-generation satellite constellation we are building — Iridium NEXT, which is expected to begin launching in 2015. Our current constellation is expected to continue to perform at a commercially-acceptable level until then. •	The “first Iridium” deserves credit for building a technological marvel – the 66 low-Earth-orbit satellite constellation that we use today. It was clearly ahead of its time in design and execution. And we are proud to say that Iridium NEXT is the most significant commercial space project today and will deliver a global satellite constellation with the same “cross-linked” architecture as the current network – a key feature that ensures a subscriber always has coverage by one of our satellites no matter where they are in the world. Plus it will deliver enhanced services and applications that weren’t even dreamed possible when the first Iridium came to fruition. This is the best example I’ve seen in a while of a company, (parent and operating) with no strategic plan. The strategic plan would or should have caught the error of their ways and provided alternatives. No strategic plan? It sounds to me like the problem was excess faith in the plan despite contrary evidence. Concerning your mention of waterfall development being death for rapidly changing environments – What is your preferred approach for this type of environment? Is it spiral development, Agile, or some other process? There was another dynamic going on. When the project was spun off as its own company everyone involved in the spit-off was going to get a bonus if it spun, and nobody was going to get a bonus if it didn’t. Why would anyone point out the problems? Why would anyone point out that the customer base would shrink? P.S. About the cost of things: The entire telecom industry is ignorant of, or in denial about, the existence of Moore’s Law. If $3000 was reasonable at the start of the project, it should have cost $46 eleven years later. They should have demanded that price reduction from the handset manufacture and expected similar trends from the non-satellite competition. Incredible story before the 2000 “dot.com” boom illustrating the lack of customer development.